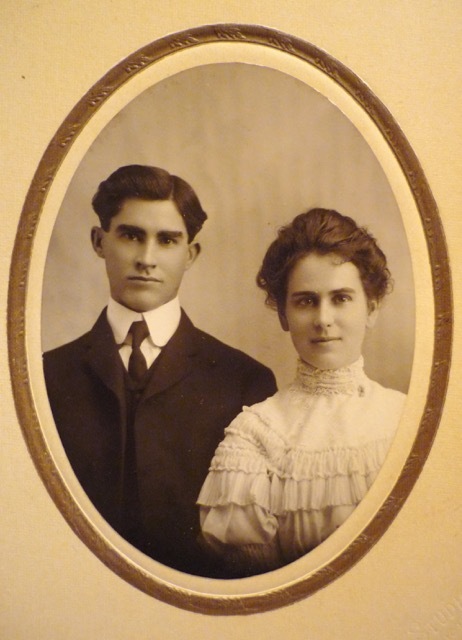 Above, Grant M. and Della S. (Lamb) Triplett, Vermillion, South Dakota, about 1904. Grant was the son of Mr. and Mrs. J. M. Triplett of Brighton township, and Della was the daughter of Mr. and Mrs. J. W. Lamb from northeast of Atlantic. Della was employed as a teacher in the Atlantic schools prior to her marriage in 1904. The couple moved to Vermillion, South Dakota shortly after their marriage. Contributed July, 2016, by Carl Malone.